Sometimes I wish I could trade places with the dogs. They only have to worry about running and eating. They love fiercely and don't worry about things they can't control. And when someone dies, they can sit on top of their house, throw their head back and howl. That's how 14-year-old dogsledder Victoria Secord has felt ever since her father died. A champion musher, Victoria is independent, self-reliant, and thanks to her father, an expert in surviving the unforgiving Alaskan bush. When an injured "city boy" and a freak snow storm both catch Victoria and her dog team by surprise, however, a routine trip becomes a life or death trek through the frozen wilderness. As temperatures drop and food stores run out, Victoria must find a way to save them all in this high stakes, high adventure middle grade novel of endurance, hope and finding your way back home. I loved this book! I read it last week when it was -20C with my puppy curled up on my feet. The author did an absolutely wonderful job writing this book. She made Victoria into a totally likeable girl, her pain and feelings were real and authentic. I had a hard time putting this book down and finished it in matter of days. The descriptive writing made me able to visualize the setting perfectly, from the snow covered trails, to the icy cold river, the crispness of the cold Alaskan nights to the crackling of the campfire. I loved the dogs and felt their devotion to Victoria and her love towards them. I cried and yes even laughed out loud. This book is full of adventure, commitment, friendship, family, grief and so much more. I was sad to see it end because I became engrossed in the lives of Victoria and 'city boy' and would have loved to see what happens next for them. This book will appeal to adults even though written for middle grade age. 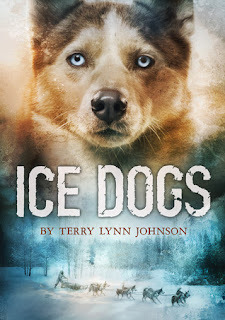 Terry Lynn Johnson's first book Dogsled Dreams, is also a favorite of mine. Terry Lynn Johnson writes outdoor adventures. 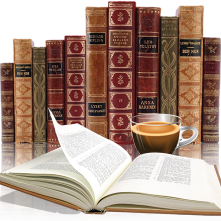 She is represented by Caryn Wiseman of the Andrea Brown Literary Agency. Terry's writing is inspired by her own team of eighteen Alaskan Huskies. Her passion for adventure has provided her with a rich background to write from. She's a member of the Outdoor Writers of Canada and The Dog Writers Association of America - recently winning the Maxwell Medallion of Excellence. When she's not writing, Terry enjoys hiking, snowshoeing, kayak expeditioning, and she occasionally tortures herself in a canoe race. Terry lives in Whitefish Falls, Ontario.